I have become so obsessed with La Double J. It started about a year and a half ago when the ball gown skirts showed up all over the sartorial photos of New York Fashion Week. I bought the Curly Swing Dress then to wear to a wedding, and, really, it's been downhill from there. I ended up purchasing a couple more dresses over the past year and I truly don't have anything in my closet that is more chic or more reliable. I literally grab these pieces everytime I have somewhere to go. La Double J was launched by JJ Martin, a former editor at Harper's Bizarre and the WSJ, in 2015. It is based in Milan and includes a number of exclusive archival prints. 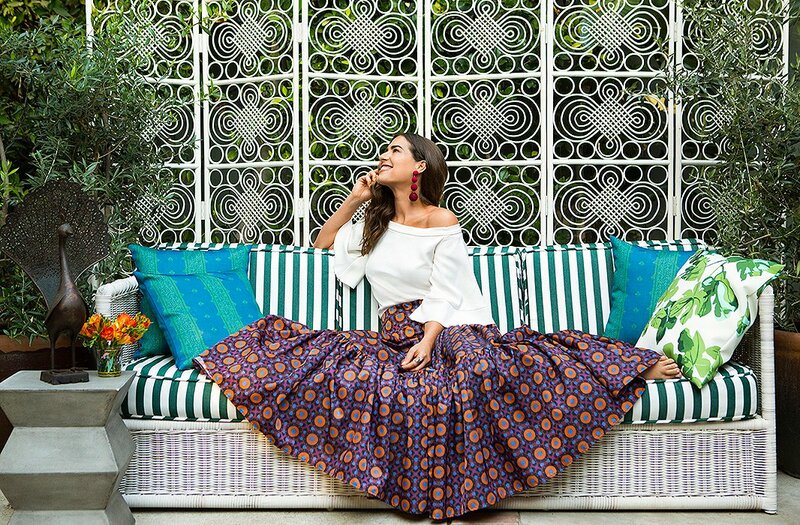 While the site offers a pretty deep dive into fabulously curated vintage, I usually stick to the new creations in the gorgeous Milanese silks and poplins. I totally get that the patterns come on strong in the online images and that it can sometimes be hard to pull the trigger. You are just going to have to take a leap of faith on this one. I have a good friend that I regularly give fashion advice whom I kept pushing to buy a dress from La Double J, telling her she would love it, and she stoically refused time and time again. I explained that the dresses are jaw-dropping, that I can't go anywhere in one of their dresses without someone (if not several random people) stopping me to compliment my dress), that you can wear them a million times, and that you have to see them in person to get the vibe. Still a no-go. And, then, . . . 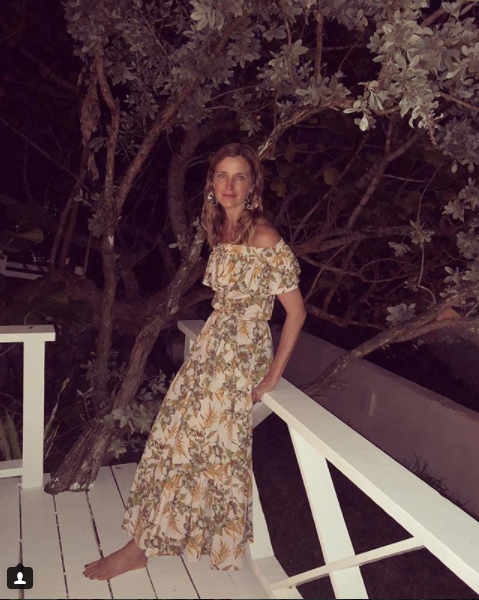 I flipped her the fab pic Amanda Brooks recently posted of herself on Insta wearing the Double Love Dress in the Polinesia print. Sold!! Amanda looks so fab and you can finally get the vibe. And, my friend texted to report that she is now equally obsessed. She loves her dresses! After wearing my Curly Swing Dress to the wedding, I had the sleeves removed to make it a sleeveless shift. And, I have literally worn it a million times -- all summer with sandals and then all winter with ankle boots and a tailored crewneck sweater. So, don't be afraid to do a little tailoring. Word. 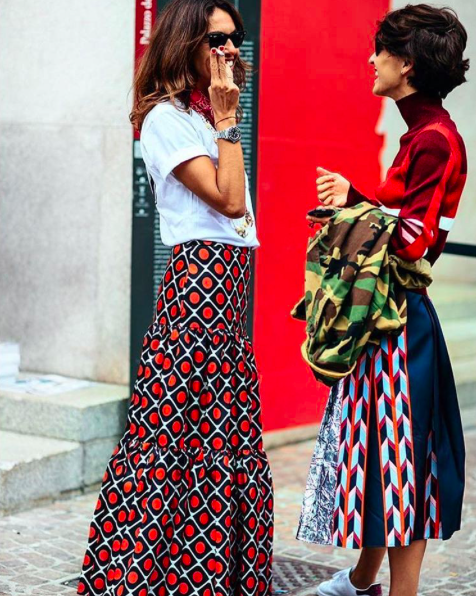 Luckily for us, Moda Operandi is having a trunk show (it ends tomorrow!! ), so you can essentially buy on lay away and be assured of your size and pattern (plus free shipping and returns). Delivery is expected between March 16 and April 19. 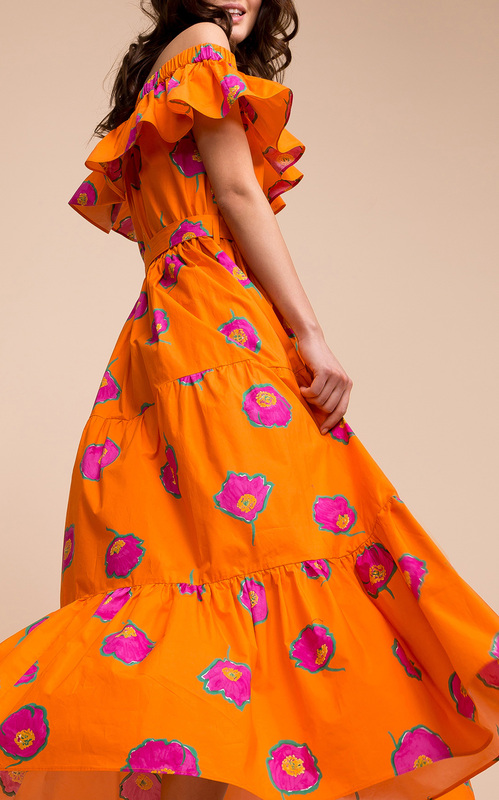 My favorites are the super fabulous Yatch Maxi in Orange Floral (this is the one I chose!!) 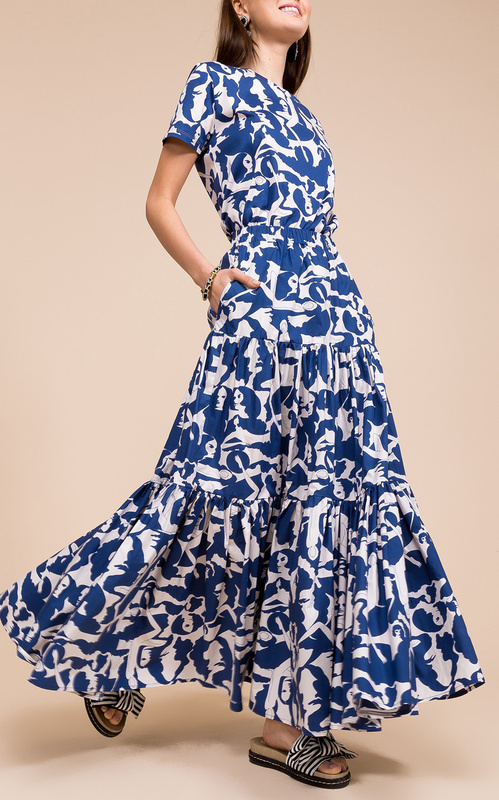 (BOLO for equally fabulous pink sandals), the Big Maxi Skirt and Printed T, (words can't capture how chic this is), the Yatch Maxi in Nautical Stripe (perfect for summer), and the truly show stopping Wedding Guest Dress. 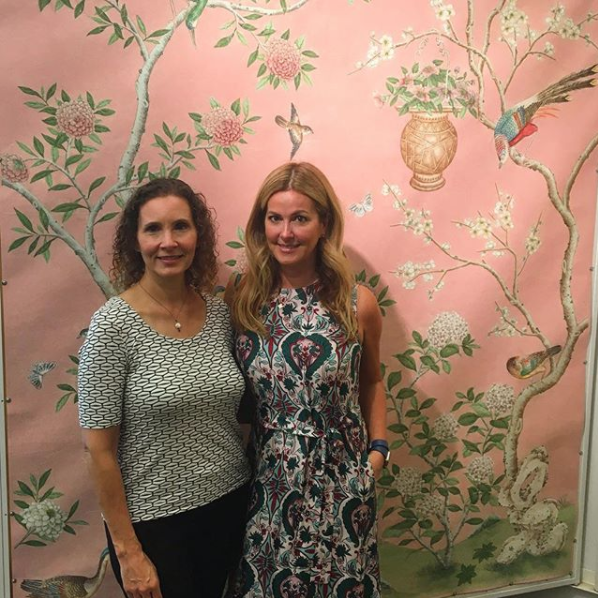 If you aren't feeling the trunk show collection, check out the Polinesia Double Love that Amanda Brooks is sporting, the Liberty Rosa Curly Swing Dress that I am sporting, and the Palazzo Rosa Slinky Skirt, all at www.ladoublej.com.